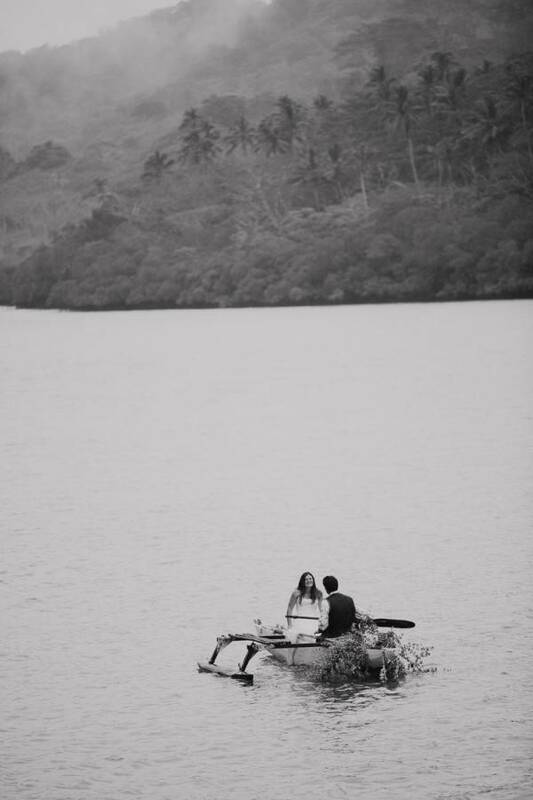 A lifetime of bliss begins with a Fiji wedding in paradise. After the ceremony, celebrate with a private candlelit dinner under the stars - the perfect start to your Fijian honeymoon. 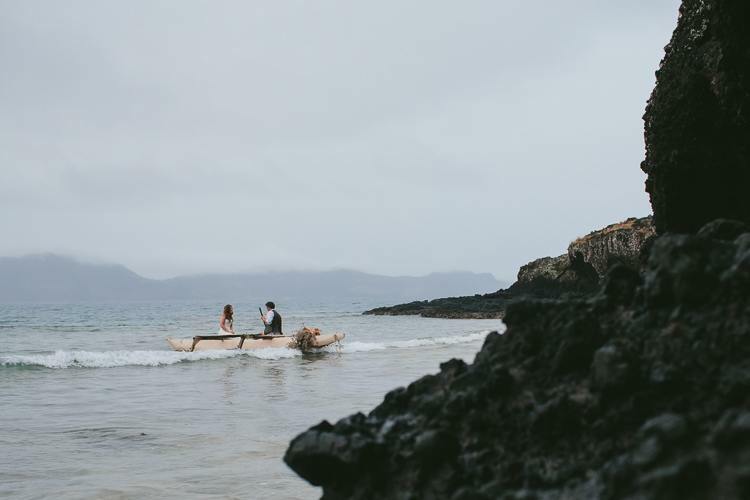 Our private Fiji elopement ceremony is the start of something great. Liaison with the Fiji Government for your wedding license (see documents required below) and visit to the District office in Taveuni for lodgement of forms. 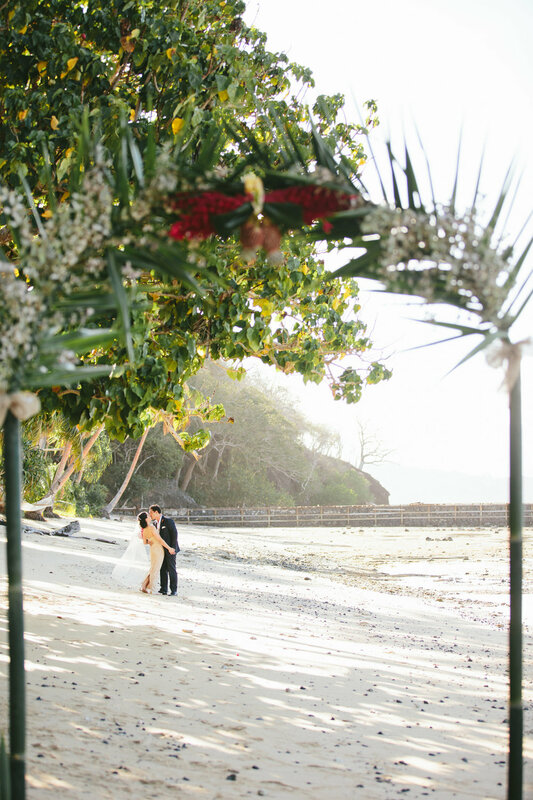 A selection of ceremony locations at the resort including beach, garden, hidden beach or ocean view deck. A bottle of sparkling wine to enjoy following the ceremony. A Remote team member available to take photos or video with your camera, before, during and after the ceremony. Single-tier Wedding cake decorated with flowers. 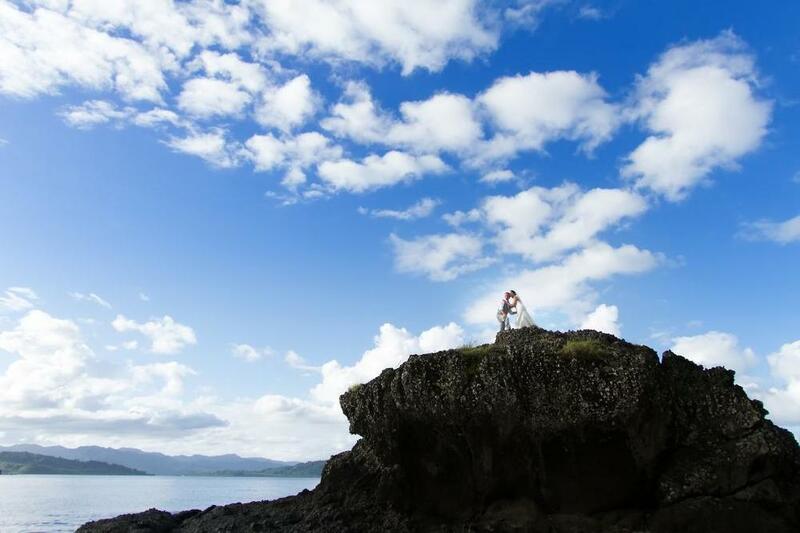 Weddings at The Remote Resort, Fiji Islands can be performed on any day except Sunday or Public Holidays. Only one wedding is performed each day at the Resort. Please see details below regarding the paperwork and district office visit required in order to plan your arrival date and wedding date accordingly. Confirmation of Single Status or Statutory Declaration made by each person stating that they are not married and witnessed by JP. This should be dated no more than two months prior to the wedding date so that it is current. Fiji Marriage Licence Application with your signatures witnessed by a JP on the side of the form beside the space for the Registrar General or District Register to sign. Divorce decree (if previously married). Death certificate (if spouse died). For persons under the age of 21, parental consent is required. Please email us copies of these documents at least 3 weeks before your arrival and we will meet with the District Office to review your documents prior to your arrival. 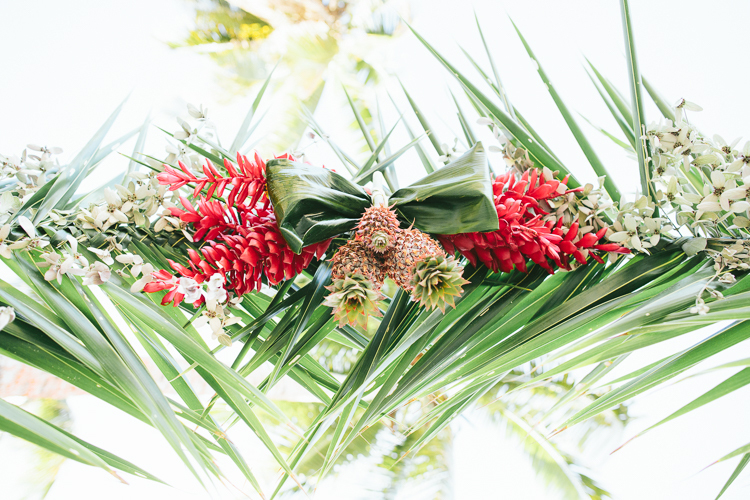 You are required to have your signatures witnessed at a District Office in Taveuni prior to your wedding license being issued so please plan your arrival and wedding date accordingly as the District office is not open on weekends. 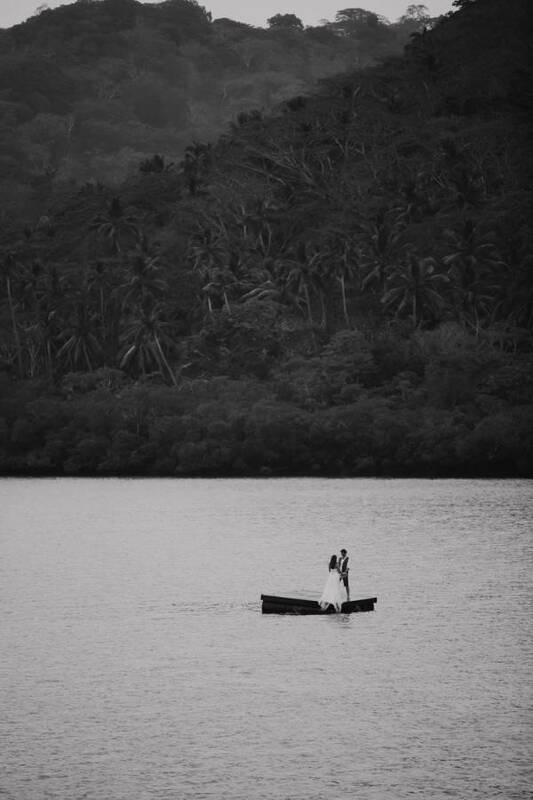 If you land in Taveuni on a weekday morning we can take you straight t the District Office for an appointment before bringing you to the resort and then you can get married 24 hours later. 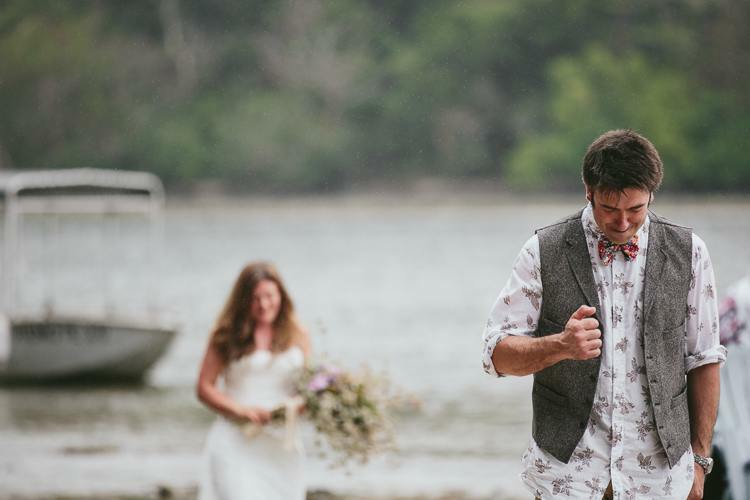 Fiji has many wonderful wedding photographers and videographers. 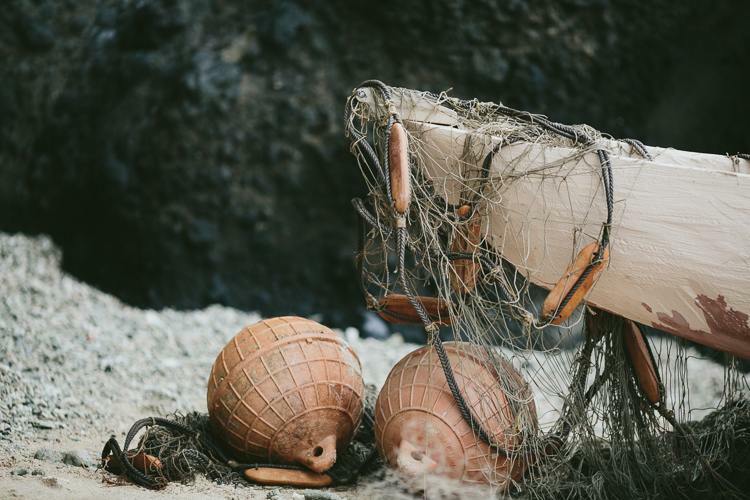 We can assist you to arrange one of them to travel to The Remote Resort to capture your day. Please note as the photographers are based on the main island, in addition to their photography fee you will need to cover their airfares, meals and accommodation. If you're looking for just some candid shots of the two of you, that can easily be arranged by our resort staff. Most weddings are held at the resort at around 3 to 4pm on your wedding day, although we can accommodate your preferred time. Please take a look at the tide times for Suva, Fiji if you are planning a beach location and would like either a low-tide or high-tide style. 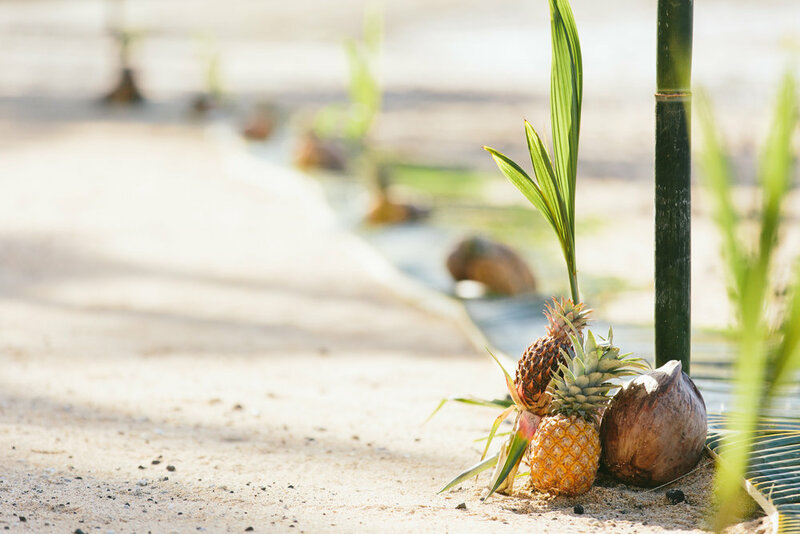 As the sun sets behind our peninsula, there is not direct sun on the main beach in the late afternoon making it a really pleasant setting for your afternoon nuptials. 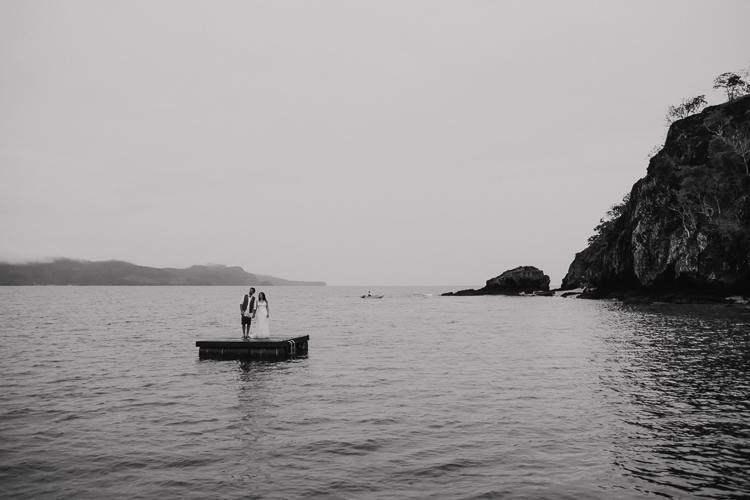 We offer wedding ceremonies anywhere on the resort, including the hidden beach (by boat). We recommend couples wait till they arrive to choose their exact location. In the case of rain we can be flexible and change your preferred date with 24 hours notice or set up the wedding ceremony location on the covered deck of the Main Pavilion. If you would like your favorite song playing as you walk down the aisle, sign your papers or after your ceremony, we recommend that you load them onto an iPod/iPhone, etc and bring them to the Resort. We will provide a portable player for you, or you may like to bring your own portable speakers to ensure you know the quality of sound available. Should you choose a location close to the Main Pavilion, we will be able to plug your device in to the main sound system. Alternatively you may prefer our Fijian serenaders to play the guitar and sing Fijian songs for you, or perhaps a combination of the two. 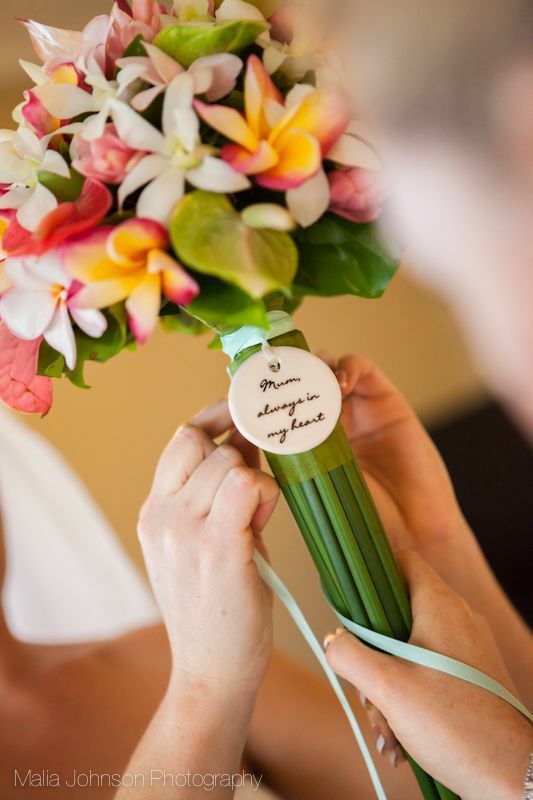 Our wedding package includes both a bridal bouquet as well as floral decorations for your chosen wedding location and buttonhole for the groom. Fiji has many varieties of tropical flowers. 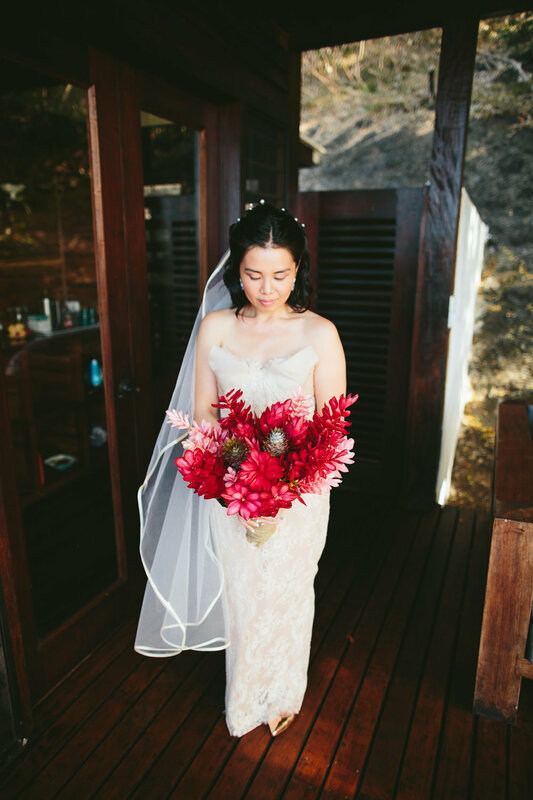 We generally make your bouquet using a collection locally-sourced tropical flowers such as gingers (red or pink), frangipanis (white, yellow+white or pink), hibiscus (red, white or pink) and green ferns, depending on what is in season. If you have a preference for a particular variety of flower(s) for your bouquet, please let us know based on the images below and we'll let you know if they'll be in season. 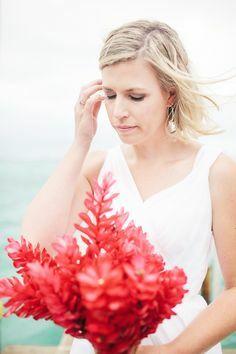 Please feel free to peruse our Fiji Weddings board on pinterest for Fiji island wedding inspiration. 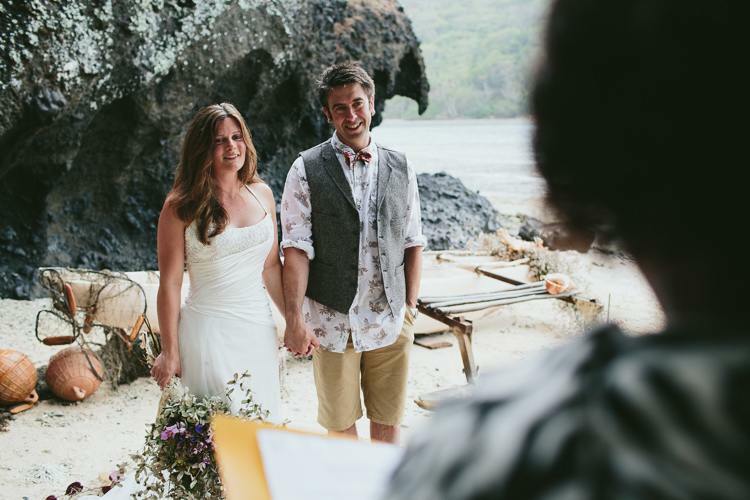 Follow The Remote Resort Fiji Islands's board Weddings Remote-style on Pinterest.